You are at:Home»Lex Bulletin»NDPS (Amendment) Act 2014: Promotion of Palliative care or an Eyewash? NDPS (Amendment) Act 2014: Promotion of Palliative care or an Eyewash? Chiefly, a pain reliever drug Morphine has been made more attainable now, post the amendment (rightly called as The Narcotic Drugs and Psychotropic Substances (Amendment) Act, 2014) which came into force earlier this year in the month of March. Not only this, the series of new amendments to the principal Act of NDPS, 1985 has introduced some ground breaking changes. Drug dependents for medical purposes can now have easy access to narcotic drugs unlike the condition under 1985 Act previously. This is done with a view to improve health conditions and provide medical care as and when required. One of the major changes has rendered Morphine as an essential drug under Section 2(viii a) of the Act so that the Central Government is empowered to make rules for granting licenses directly for such drugs without the requirement of approaching the State Drugs Controller. Drugs identified as essential will be subject to Central Rules under Section 9(1) (a). But, the narcotics control in the form of licensing and monitoring is still in the hands of these State Drugs Controller. Furthermore, the need for multiple licenses has been done away with. Moreover, the scope and objective of the NDPS Act, 1985 seems to have been broadened to include the medical and scientific uses of drugs and narcotic substances. This will promote the advances in the Research and Development (R&D) sector. All this was unprecedented until now. 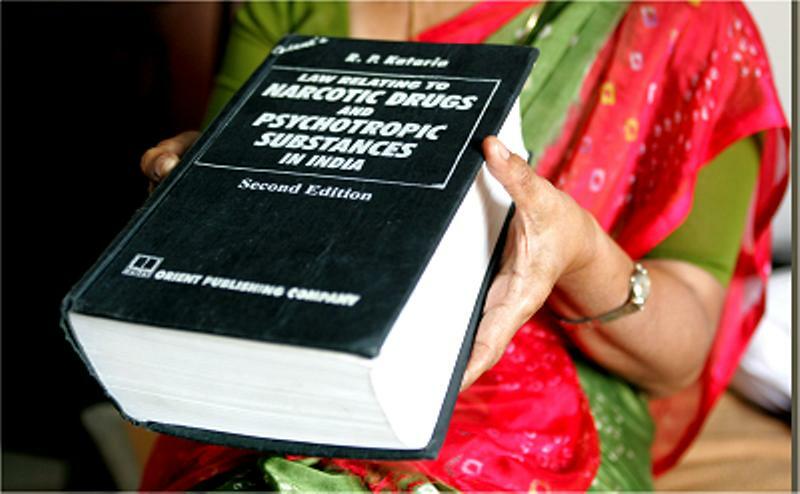 The amendments can be seen more in line with the various corpus of International law signed and ratified by India namelySingle Convention on Narcotic Drugs, Convention on Psychotropic Substances, and United Nations Convention Against Illicit Traffic in Narcotic Drugs and Psychotropic Substances. Other major changes involve the penal provisions. Under S. 31, Clause A has been added which provides for mandatory Death Penalty in case of a drug trafficker who has been convicted once under the NDPS Act for “engaging in the production, manufacture, possession, transportation, import into India, export from India or trans-shipment, of narcotic drugs or psychotropic substances.” The repeat offender will directly go under the gallows. However, the Act seems to be more stringent here as awarding death penalty happens in the rarest of the rare case and in offences of the highest gravity. Even the International drug conventions do not call for deprivation of life. S. 31 A still is the eye of storm. The reason being imposition of death penalty and increasing the prison sentences upto 10 years. The revised penalty structure is tougher apparently. On simple reading of S. 71 of the amended Act, it is concluded that there is a move to protect the interests of drug addicts affirmatively. The discretionary element in the provision has been removed thereby prompting the Government to identify and treat the addicts in the established centers. The amendments done to S. 68-B, 68-D and S. 68-0 are merely clarificatory in nature. Now, under S. 57 the report of search and seizure of illegally acquired property can be made before ninety days, earlier the time frame was just forty eight hours. Unlike previously, the report can be submitted to any jurisdictional competent authority. A comprehensive analysis and evaluation of the amended Act leaves more room for doubt than it does hope. Section 35, presumes the guilt of the accused and puts the liability on the accused to prove his innocence. It further states that, unless the contrary is proved, it will be believed that the accused intentionally held the illicit drugs found in his possession. This is contrary to the general notion of justice wherein the accused is innocent until proven guilty. Moreover, the Act also does not make any meaningful distinctions between small and commercial quantity of drugs. Critically speaking, the harsh and strict provisions might not result into less occurrence of crimes and better enforceability of laws. The implementation, amidst all this, remains a concern.